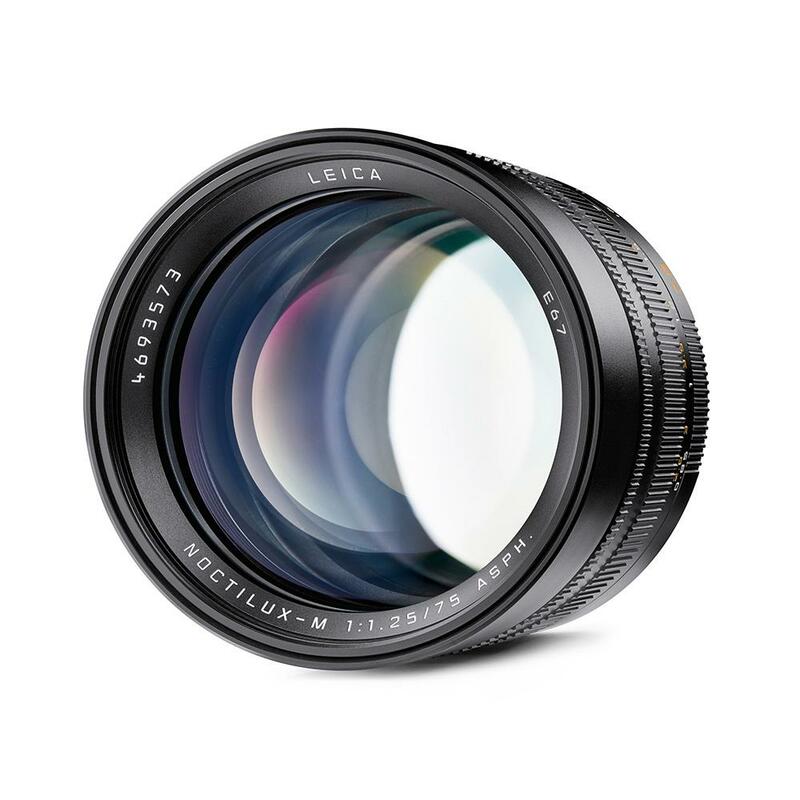 "The optical design of the Leica Noctilux-M 75 mm f/1.25 ASPH. features nine elements in six groups. 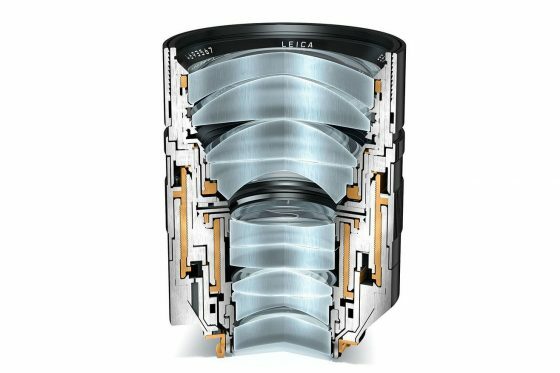 Two aspherical elements are included in the design to ensure optimum imaging performance across the entire frame. Thanks to a floating element, accurate and sharp focusing is maintained from the minimum focusing distance of 0.85m all the way to infinity. 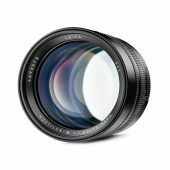 The harmonious bokeh of the lens is the result of the round aperture created by the eleven blades of its iris. An integrated, lockable lens hood shades the lens from stray light and protects it from accidental impacts. 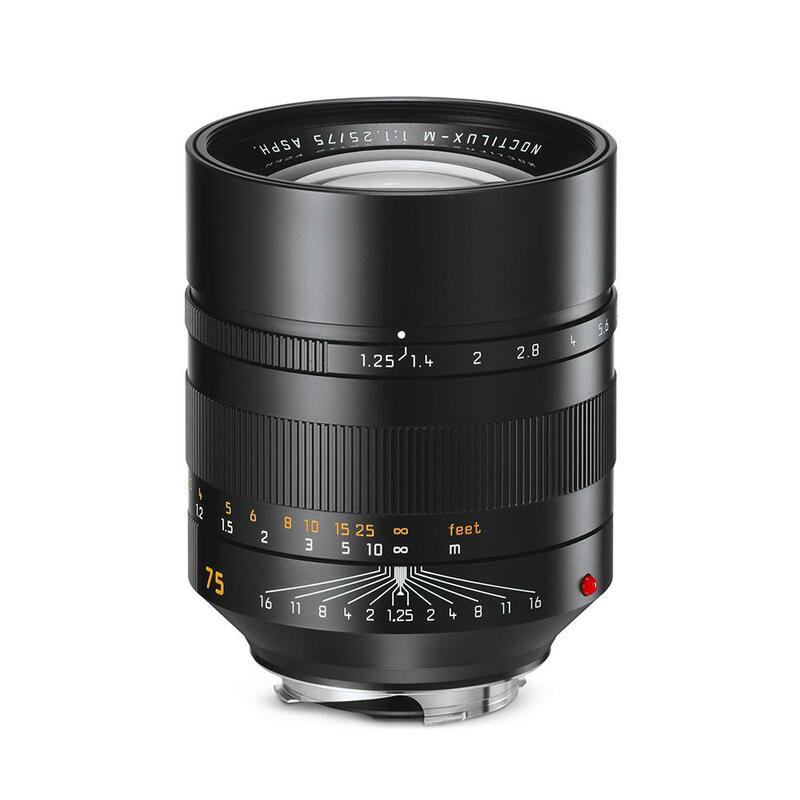 Thanks to its enormous resolving power, the Leica 75 mm f/1.25 ASPH. 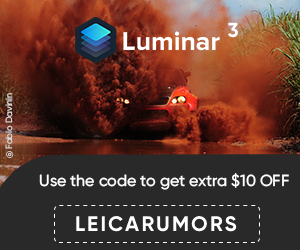 is future-proof and delivers exceptional quality when capturing images onto high resolution sensors or cropping into the composition." Sample photos taken with the lens can be found here and here. See also the related interview with Peter Karbe. November 29, 2017-- For more than 50 years, the name ‘Noctilux’ has been synonymous with exceptional speed and outstanding optical design. 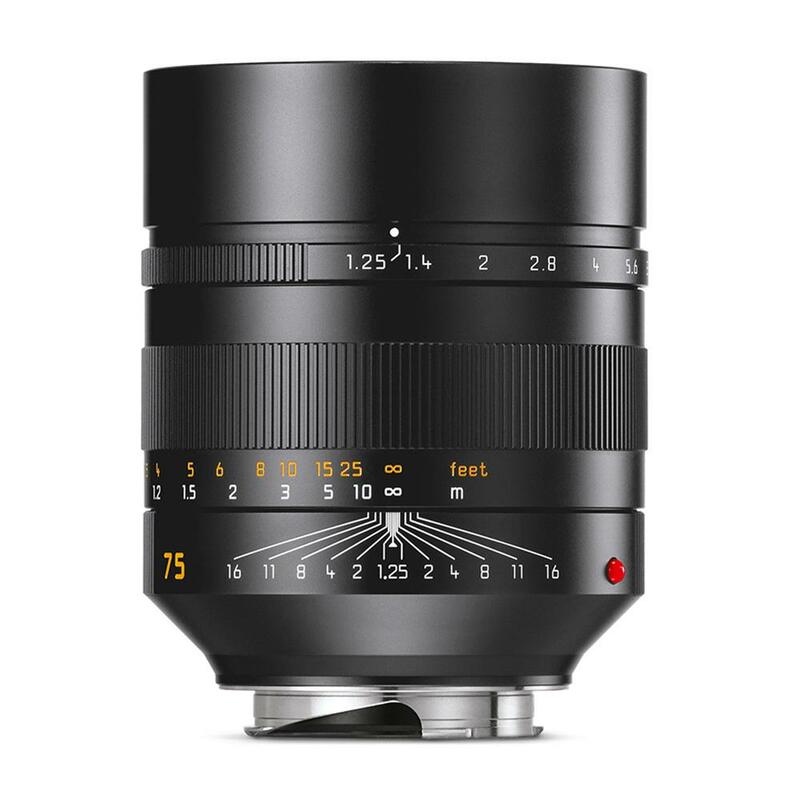 Today, Leica Camera announces the newest addition to their lens portfolio – the Leica Noctilux-M 75 mm f/1.25 ASPH. 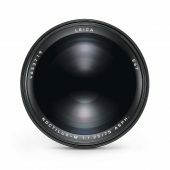 Coupled with exceptional imaging performance and unique bokeh, its hair-thin depth of focus isolates subjects with extreme precision, ideal for portraits with an unmistakable “Leica look”. 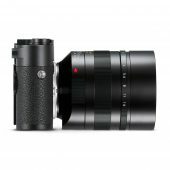 The upgraded features of the Noctilux-M 75 mm f/1.25 ASPH. open up entirely new opportunities in portrait and close-up photography, including a shallower depth of focus than that of the Noctilux-M 50 mm f/0.95 APSH. and a close focusing distance of 0.85m, making for a reproduction ratio of 1:8.8 for even more precise isolation of subjects. Additionally, the eleven blades of its iris ensure a soft and harmonious bokeh in out-of-focus areas. 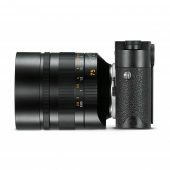 When shooting at maximum aperture, the exceptionally shallow depth of field of the Noctilux-M 75 mm f/1.25 APSH. can be easily focused in when an electronic viewfinder such as the Leica Visoflex. 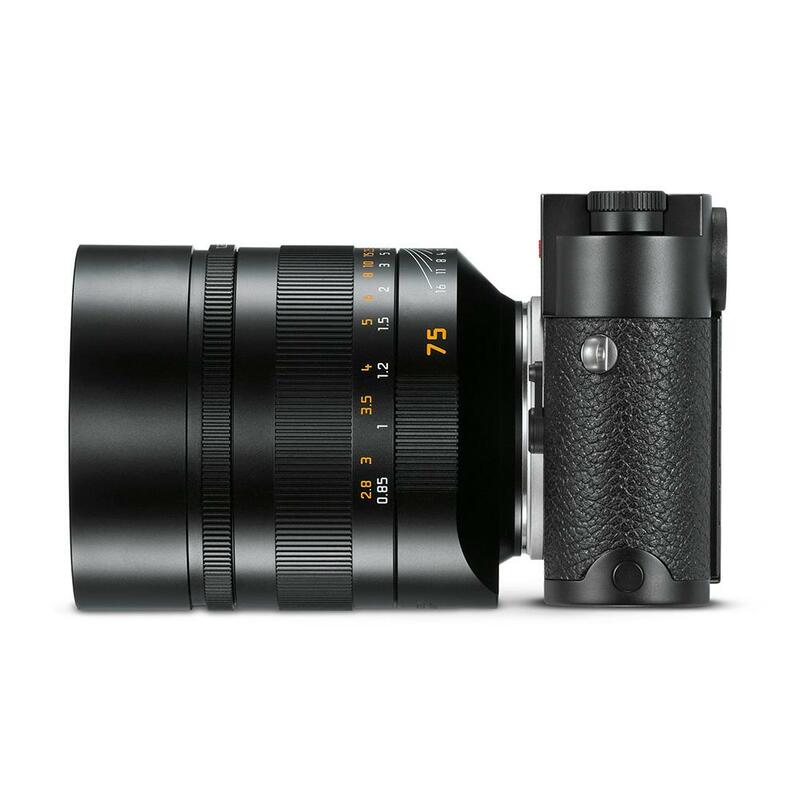 Additionally, the Leica M-Adapter L transforms the Noctilux-M into an excellent lens to use in conjunction with the Leica SL. 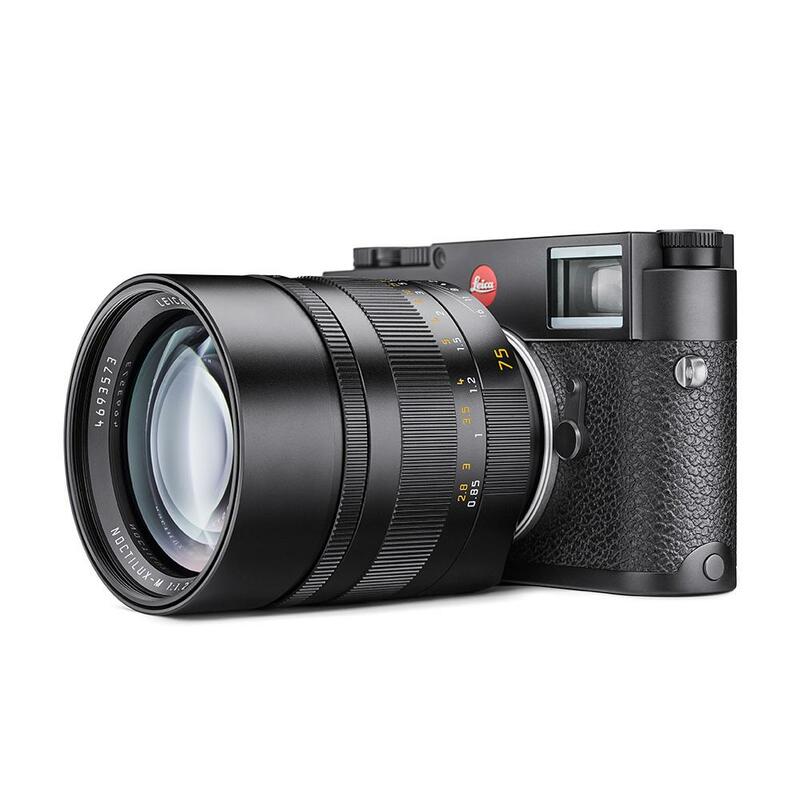 When the lens is mounted on the Leica SL, the 4.4 megapixel resolution of the camera’s EyeRes® electronic viewfinder enables particularly comfortable and extremely precise focusing. 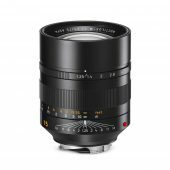 The Leica Noctilux-M 75 mm f/1.25 ASPH. 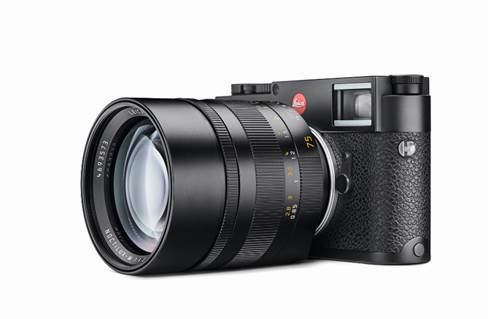 will be available at Leica Stores, Boutiques and Dealers at the beginning of 2018. 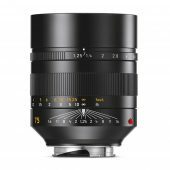 1 The nominal focal lengths of the Leica M-Lenses relate to 35 mm format, i.e. original image frame dimensions of 24 x 36 mm. 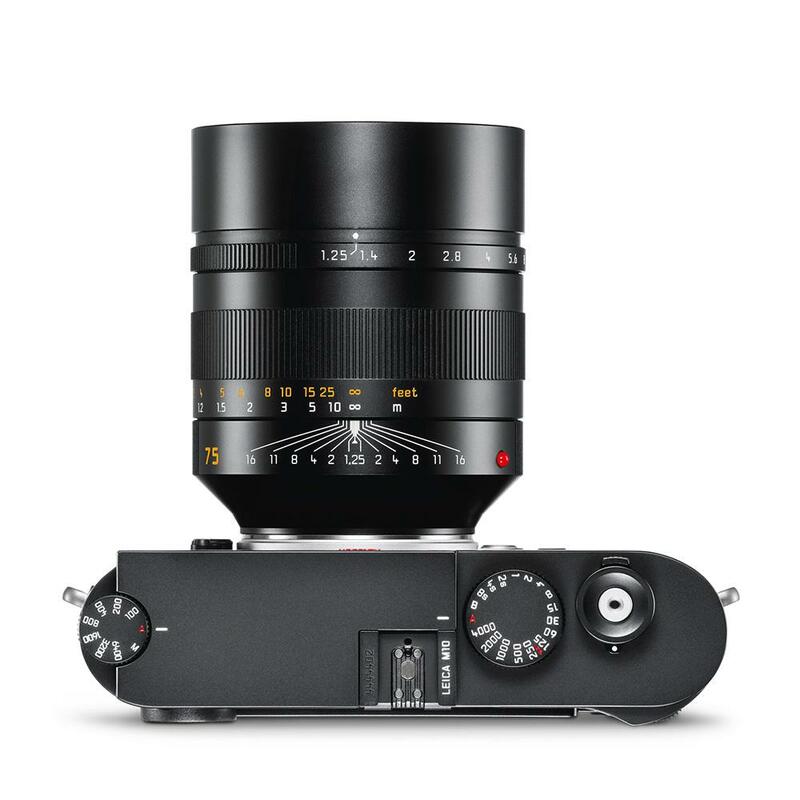 However, with dimensions of 18 x 27 mm, the sensor of the Leica M8 models is a little smaller, by a factor of 0.75. For this reason, the angle of view of this lens when mounted on a Leica M8 model corresponds to that of a lens with a focal length that is longer by a factor of 1.33 (1.33 = reciprocal of 0.75). 2 The 6-bit coding on the lens bayonet (7) enables Leica M8 digital models to identify the lens type mounted on the camera. The cameras utilise this information for the optimisation of exposure parameters and image data. 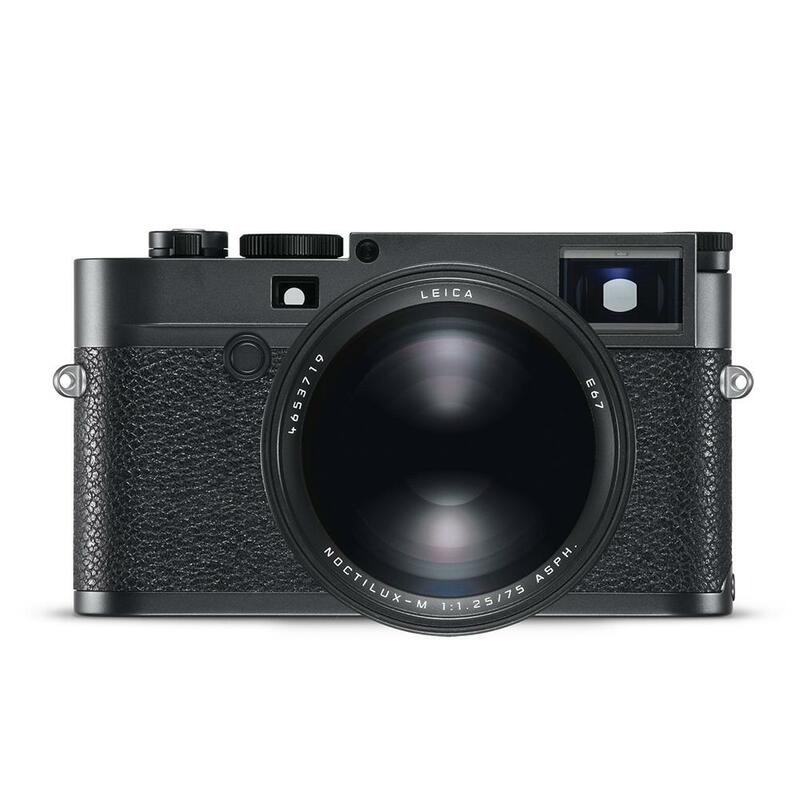 3 With the exception of the Leica M3 and the former version of the Leica MP ( professional version of the M3), all Leica M-Cameras without a 75 mm bright line frame can be retrofitted with this frame by the Customer Care department of Leica Camera AG (it then appears in the viewfinder together with the frame for 50 mm lenses). 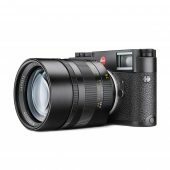 4 This is independent of the image frame format of the respective camera – whether 18 x 27 mm (sensor size) for the Leica M8 models or 24 x 36 mm for all other Leica M models. 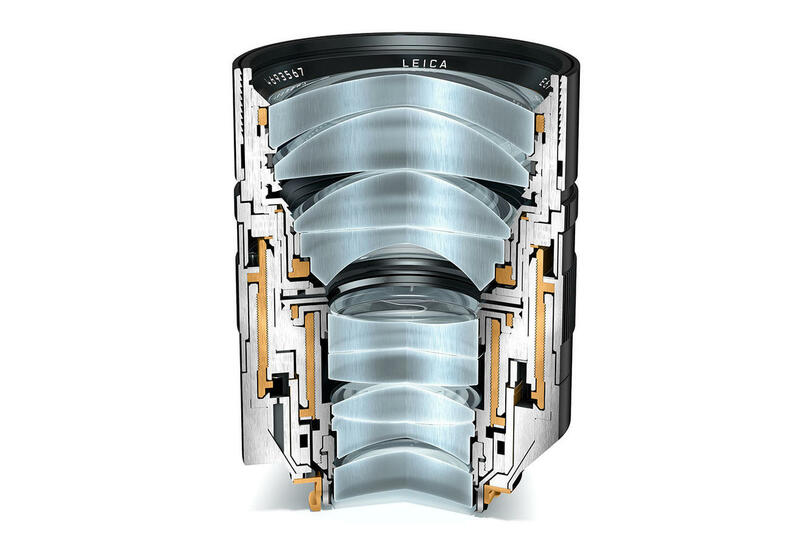 Like the new Leica Lenses Facebook page and join the growing Leica Lenses Facebook group. 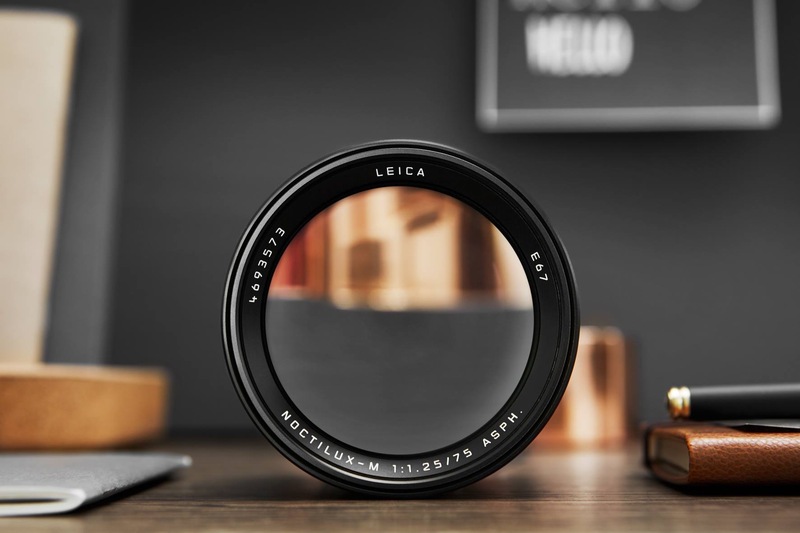 This entry was posted in Leica Lenses and tagged Leica Noctilux M 75mm f/1.25 ASPH lens, Noctilux. Bookmark the permalink. Trackbacks are closed, but you can post a comment.